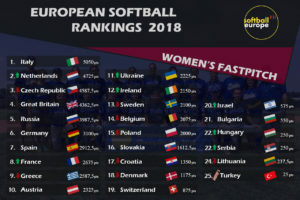 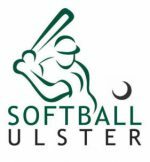 Ireland have moved up to 12th in the Softball Europe 2018 rankings which is a just reward for their European Under 19 silver medal and Under 22 bronze medal in July. 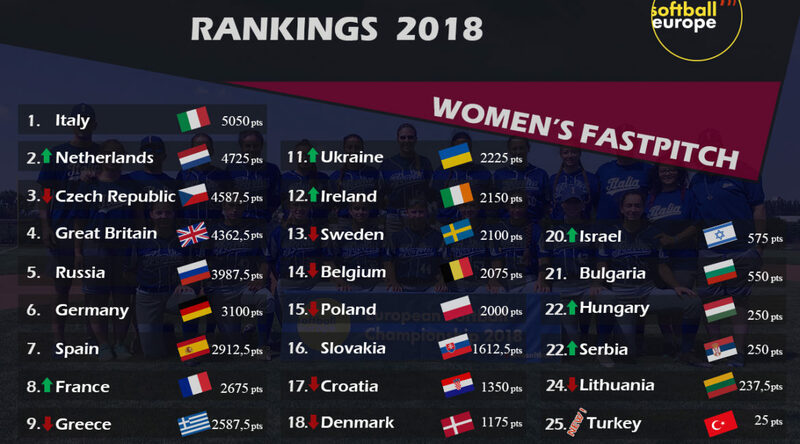 Ranked 23rd in 2016, the young Irish squad had continued to deliver on the international stage in 2018 and shocked Europe by reaching the final of the U19s the hard way beating European powerhouses Netherlands, Germany, Russia and Czech Republic. 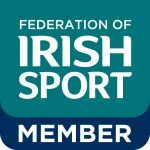 Ireland carried this form into the U22 tournament when the mainly U19 team with the addition of a couple of more senior players eliminated hosts Slovakia and followed this up by beating Greece, Russia, Poland, Czech Republic and number 3 in Europe Great Britain for a hard earned bronze medal.